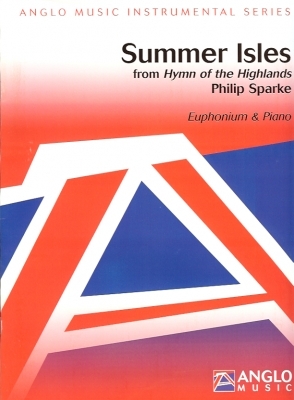 Summer Isles is from the seven-movement suite for brass band Hymn of the Highlands, which was commissioned by David King and YBS Band for their performance at the 2002 European Brass Band Championships Gala Concert in Brussels. One of the solo movements is Summer Isles, a dreamy euphonium solo, named after a small group of islands off the north-west coast of Scotland, famous for their wildlife. Philip Sparke has given the soloist a wonderful piece of music, and now an equally wonderful piano reduction. A true audience favorite for any performance!